It’s been a bumpy month! About midway through I was worried about being booted from corp again for inactivity (but thankfully my logistics ship efforts saved me). I was having trouble finding fleet operations which were in my Timezone so things were not looking great. However In the last few days the Gears of War have shifted up a level with the some serious fights starting down south. Things pretty much went crazy overnight; I went from having nothing to do, to being in 5 hour fleets for the past two nights. Since then we have also deployed to a new staging system and I expect the tempo to only increase its speed. I sadly had to sell my pimp Redeemer to help fund my new Dreadnaught (the ugly, but useful Moros), which is now sitting ready for deployment. I am expecting a good month! I managed to snag a full 86 Hours gaming this month, with 30 of that being spent in Eve, not bad for me and something I intend to improve on next month. Skills wise I have had to reshuffle my shorter term plans to push the Moros up to the top of the queue. Thankfully this hasn’t interfered with my attribute optimisation plans so far and the 2013/2014 plan is continuing as intended, despite CCP’s best efforts to tempt me away with new skills. On the other characters I have been making some great progress. The industrial char has started doing invention (making more costly mistakes along the way, seriously how do new player cope!? ), and I think she might just turn a profit in the next few months, but then I’ve thought that consistently since I started, so let’s not count the eggs. Xa, the FW pilot has also been doing pretty well for herself, doing a tonne of Exploration (which has been a fun and profitable endeavour), and even managed to turf out some T2 Rig BPC’s from a site which should make some lovely money. In the later part of the month Xa also started on a new money making plan with the Dirties group (revolving around Faction Warfare), but that’s a topic for another post. Spending this month has been very high with a total of 3.5bn spent. Most of this was on the Moros, however a further 400m was also spend on skill books. Thankfully Trading has been brisk this month seeing me finally push to the point of having more total money than ever before, despite ejaculating Isk up the wall. I am constantly waiting for the other shoe to drop, and for something to go wrong, but so far so good. Trade itself has brought in just over 3bn this month with some unusually lucky buys netting a massive profit. Another long term investment maturing and being cashed in for another 2.3bn has helped make this a record breaking month. To mitigate the high spending, the main also reallocated funds from underutilized ships (the Redeemer) into the Moros fund reducing the cost by 2bn. This gives this month a total profit of ~4bn liquid Isk, I don’t expect to see these kinds of numbers again anytime soon. On the blog you may have noticed that we released the first of our planned “Dirty Guide” Series. This has been in the oven for an inordinate amount of time and I feel the first one has come out pretty good. At the moment I am working on the Dirty Guide to Faction War (with Arian promising to collaborate on that one…), so expect to see that churning out some time in the not too distant future. It feels like eve is starting to warm up again after a cold summer for me, so hopefully we can expect to see some more posts coming out soon! Eve is a harsh mistress; she recruits around 150 people every day too her cause, and only a tiny percentage of that survive past the first month. Chances are, that if you are reading this guide, you are thinking of signing up (or have already). If this is the case, then congratulations are in order. Not because you have the guts to try, but because you have gone out to the internet and researched, finding this guide, and hopefully others in the process. To me this indicates that you are far more likely to stick with our ranks than any of your fellow recruits. This guide covers the very basics of how to sign up for eve, information on picking a character, and a short section on the training missions. Listed at the bottom of this guide are more guides on how to go from your very first log in, to joining a “Profession”. Good luck! Before we start in earnest, lets quickly discuss the cost and real life implications behind playing eve. First and foremost, let’s talk about how much it costs to subscribe to eve. There are two main methods of buying game time with real money; directly from CCP and via Game Time codes. CCP offer 3, 6 and 12 month payment plans at £9.33, £8.33 and £7.50 per month respectively (all prices in GBP, and accurate at time of writing). Time codes are sold via sites such as MarkeeDragon in 1 and 2 month variants (£12.99 and £11.99 per month respectively at time of writing). Although on the face of it, it would see a far better deal to purchase Game Time directly from CCP, it is worth knowing that a lot of sites, Corporations and Alliances (player groups) often also have affiliate links with sites such as MarkeeDragon to help fund their real world costs. It’s a nice way of helping out community efforts that you appreciate, or contributing to groups you are a member of. This said for a new starter I would advise subscribing directly to CCP to begin with. When players buy GTC’s (from Markee Dragon etc), they can redeem them in game for items referred to as PLEX. A PLEX (or Pilots Licence EXtension) can be used in game by players to extend their game time by 30 Days, just like the GTC which created them. So if a player redeems a 60 day GTC, they will receive two 30 day PLEX items in game. As these Licences are items within the game, they can, like all items, be traded for ISK. It’s worth remembering that like all other items in the game PLEX can also be destroyed so flying with them is extremely ill-advised. The main thing however is that if you have enough ISK, you can purchase a PLEX from another player (who has bought it with real money), and use it to extend your accounts time. In essence you are paying another player in ISK, to subscribe your game for you with cash. At the time of writing PLEX cost just under 600m each (and usually fluctuates between 5 and 600m). It is perfectly plausible to pay for an eve account via in game means, however I would advise against setting this as a condition of playing, as a fresh player is unlikely to be able to earn more than the 20m ISK per day needed to survive solely on in game currency. With the cash cost out of the way, let consider eve’s time cost: In my opinion eve is one of the most time flexible MMOs out there (and I have played quite a few) in terms of its time sink. Because eve is a Sandbox MMO, you set your own goals, and play hours. 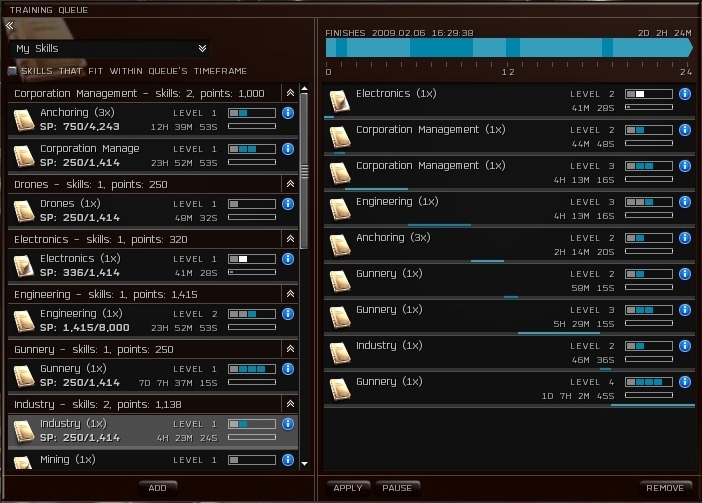 Sure there are some things which a limited playtime might exclude you from (running a Nullsec alliance for example) and others which require dedication (logistics manager for an industrial Corp). 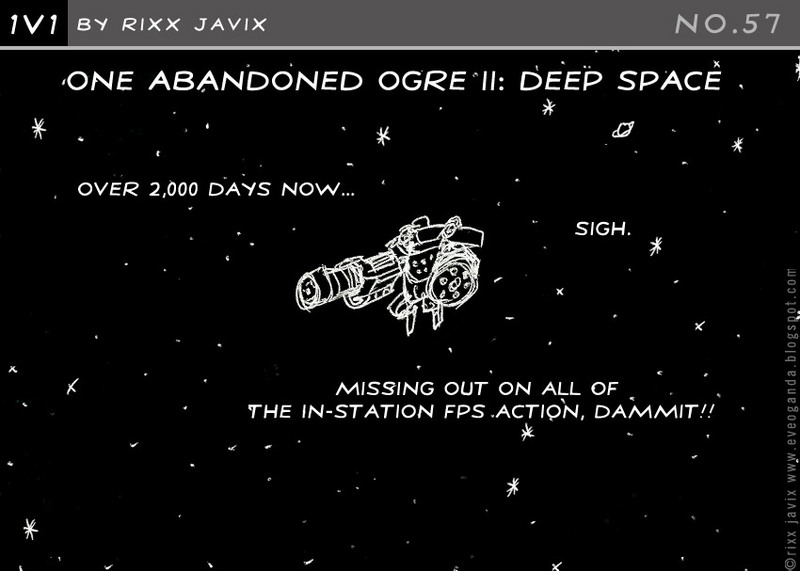 but there are plenty of fun ways to play with a “causal” playtime (piracy), just ask Rixx Javix. On the flip side if you are looking for a game which rewards you for time investment, this could very well the best. There are tons of professions and paths which will reward players for patience and dedication. Corporations (a clan) Alliances (think of a clan of clans) and Coalitions (clan of clan clans) survive on the dedication of their members (can you do the can can? ), and have corporate structures which would put most businesses to shame, their hungry for players who enjoy not just PvP but also Manufacturing, Organizers and even supply chain experts. Of course if at the end of the day you just want to shoot things, there are plenty of opportunities to do that as well. Fair warning though, eve is a bit of a sensory overload. When you dive in your going to be overwhelmed with choices, and given very little information with which to make them. That is in both the long term and the short, you’ll get used to it. Planning and running your character will be overwhelming, and combat itself is going to be hot sweaty and confusing. Because of this there has always been the perception that as a New player, you never catch up with 5-10 year veterans of the game. This was true 5 years ago when I first joined, I was under the impression that I would always be 5 years behind the oldest players. yet just one year in I was helping to kill the Super Carrier (second largest ship class in the game) of a veteran 2 years older than me. The fact of the matter is that in reality, the first 6 months of the game will feel like a slog against the odds, progressing, but fighting to do so. Then for the next 1-2 years you will learn fast and hard how the game works and how to play it. In the end, after 2 years you will have an expertise level close to that of a veteran. Sure you will never over take him, after two years, the expertise difference between you will be minuet, and you will always be closing that gap. Eve online does have a free trial, and if you are lucky enough to find a paragon of the game who is willing to go out of their way to help you, you can get this extended from 14 days to 21 days. Thankfully for you I am such a paragon (I kid, I get a free PLEX if you subscribe so if you do subscribe via the links above, eve mail me some feedback and get some ISK in return once you subscribe). So if you intend to join us, click the link above, fill out the form and click the download button. While were waiting for that to download, let’s talk about the first set of choices eve is going to make you make. As you no doubt know by now, eve is a very funny game (funny wtf rather than funny haha) . It is, in many ways the absolute inverse of any other “Themepark” MMO you may have played (I should know, I played WoW for years before converting). Most MMOs begin with a massive choice: Race & class, which define what you can and cannot do with your character and after this much every further decision you make has no lasting effect on the progress of the game, or your character (there maybe one or two forks, but nothing more, and most of them will be reversible). Eve is the opposite: there are no classes and when you pick a race, all you are getting is a few days head start in their preferred weapon systems, and ships. Nothing will stop you from “Cross training” to another race’s ships & weapons, and indeed this is actively encouraged. Think of it like rolling a Dwarf Cleric and then putting it in Heavy Armour, giving a broad sword, and this being a good idea. in eve it’s the choices you make after your race which define your game. Flavor: The Amarr are ultra-religious, and use this as justification for their expansionist attitude towards the galaxy. When they first reached for the stars they enslaved pretty much everything with a pulse (and a few things without) including another player race: The Minmatar; who later broke free. Needless to say relations between the two are… frayed at best. Thanks to this head start, the Amarr are the most “advanced” of the player races: however this means little in terms of their gameplay balance for players, merely that they created (and get bonuses to using) the most stylized futuristic kit (lasers etc). Primary Weapon: Lasers. An excellent weapon system which consumes no ammo (at the entry stages), and lets you change its ammo type instantly (well, within a second). Tank Type: Armour. Bolting sheets of metal to your ship does much for your survivability, but little for your agility. Armour tanking can make for a slow lumbering ship which can soak up a lot of damage. Flavor: Despite being enslaved during their civilisations (space faring) infancy the Minmatar are doing their best at creating a new nation. The brutal tribal roots show heavily in their in-your-face, seat-of-your-pants ship style. The Minmatar took what they consider to be the best of modern warfare, discarded the rest and duct-taped what was left together. Their rough and ready minimalistic design actually comes out as a stern favourite amongst many eve players. Their late adoption of technology also means they have the most diverse and flexible ships. Primary Weapons: Projectiles. Nothing really beats hurling one and a half meter projectiles tipped with nuclear warheads at the enemy from gigantic chain guns mounted on your hull. These weapons hit hard, but each shot has a long time in-between shot compared to other weapon systems. Secondary Weapon: Missiles See Caldari for more information. Tank Type: Varies from ship to ship. Flavor: The Caldari civilisation was originally birthed in the same solar system as the Gallente; and when the Gallente took to colonisation, they peacefully absorbed the Caldari into a sub race of their own. Things didn’t stay peaceful unfortunately, and the Caldari, who practically worship capitalism, found their ideology was being repressed. Long story short, a lot of blood was shed, and the Caldari and Gallente parted ways, when the meet now, it’s generally on the battlefield; political or physical. The Caldari state is ruled by Corporations, and your status is directly linked to your place on the corporate ladder (at least non capsular status anyway). Design Philosophy: Pretty tanky, with the ability to reach out and apply damage at very long ranges. Primary Weapon: Missiles. If you want someone to know you don’t like them, write a letter on the side of a kinetic missile and post it to them via the medium of rocket propellant: When it comes to sustained, long range DPS these things are the best. But unfortunately sometimes the enemy gets bored waiting for them to arrive and wonders off. Tank Type: Shields. Keeping the enemy as far away from your hull as you can seems like a good idea, and the Caldari do this very well indeed. Unlike armour, shields automatically replenish and keep your paintwork fresh as they day it was commissioned. Unfortunately the technology involved means that your ships signature can be picked up by a ham radio four systems away. Flavor: The democratic Gallente worship freedom, and their citizens are free to do whatever they wish. This is a wonderful idea, somewhat sullied by the reality that most Gallente take this as an edict to self-mutilate and cavort like animals. Still, at least their free and democratic animals. Design Philosophy: as much DPS as you can get.. If you can only get into range to use it. Primary Weapons: Hybrids are a mix between Projectiles and lasers, using magnetic pulses to send rods of metal (which sometimes melt down to pure plasma: think space shotguns) hurtling towards enemy ships . These are without doubt the highest DPS weapons in the game. Unfortunately you have to get so close to use them, you’re liable to scratch your pretty green paintwork on the enemy’s hull. Tank Type: Armour, see Amarr for more. Still can’t decide on a race? Or worried that your choice isn’t the right one? Don’t worry, it really doesn’t matter. Ever race is viable, and every weapon system and ship can be trained by every character. Furthermore, the background of each race is pretty irrelevant to capsular from a Role Play point of view. Despite the fact that the Empires still churn out new capsular every day, they tend to hold few allegiances and are practically a race of their own. The biggest effect that your character creation is going to have on you in the long run, is that it will limit what clothes you can wear. And even that might change one day. Eve is a Sandbox MMO. This means that there are no game set goals, no skill tree, no “level zones”, no main quest and no “starter zone”. Eve will take you through a short series of tutorial missions, and then fire you out into the cosmos to see what you can do on your own. You make your own goals, big or small and set out to make a mark on the universe. Because there are so many players, you need to remember one thing: the goal you set, will always be diametrically opposite to someone elses. Your goal might be to run as many missions as you can. My goal might be to kill as many mission runners as I can. On the other hand you will also find that a lot of players goals will align well with your own. There is safety in numbers, seek players who you can work with to outnumber the people you encounter who work against you. For some people the Sandbox has the effect of true freedom within the game, you will thrive on your ability to pick and choose your goals, and revel in the freedom to make it big or make big mistakes. To others, the Sandbox has the same effect as the Total Perspective Vortex. !! Warning the next few sentences contain awful formatting to try and emphasize a point !! Following on from that point you need to accept the following: you are going to get killed by other players. This is a game which is all about PvP, you will get killed. You will find yourself in a situation where you have zero chance of survival, and where there is nothing you can do to stop another person from shitting in your Cherrios. Other players don’t do this because they are evil basement dwelling psychopaths (they might be, but the chances are slim); but because it’s the game. When you die, you need to move past the rage, and past the hatred for the evil gutter rat who killed you, and to try to understand why and how you died, chances are you did something which made you vulnerable to some form of exploitation. Don’t be afraid to contact your killer, it’s a 50:50 that they will be happy to help you understand what happened. Just remember that players often feed of your tears of rage, so calling them names, or questioning their sexuality will just mean you lost the fight twice: Once in your ship, and once by being a big baby. Don’t rage, or you might help someone win a game of bingo. If you expect all this from the start, and set out not to win, but to learn from losing, you stand a good chance of getting somewhere. Speaking of which: Nowhere in space is safe. Literally nowhere. Even docked up, with your ship encased within billions of tonnes of metal, you can still lose everything through market PvP and scam artists. That’s right, eve online PvP isnt limited to direct physical engagement. Every second of the game people will be pitting their wits against your to see if they can win. This is by design, and it’s what makes the game fun. Don’t be fooled into thinking of Highsec as safe, it’s not. This is a live feed of what has been killed in Jita (check the time and dates), Jita is the trade hub of eve, it’s not really equivalent, but think Dalaran (tells you when I left wow huh?). Couple this with the fact that when a ship is destroyed it is… well destroyed, forever, no take backs, and it’s going to hurt when you do get killed (or scammed, or cheated, or taken for a ride). Most eve players fly by the mantra “Don’t fly what you can’t afford to lose” you would be wise to do the same. Spending your every last penny on a shiny new ship, is just asking to have it blown up from under you, Murphys Law is just as applicable in eve as in real life. Should you ignore all of this and allow yourself to be tricked or bullied out of all your money, don’t come crying to people: Most players will turn a deaf ear to cries of “That was my last ship and I invested all my money into it!”. The standard response will always be: “Don’t fly what you can’t afford to lose *shrug*”. Always have enough funds to replace what you need to function, always have a backup plan, you’re going to need both regularly. Which Segway’s nicely into this: Eve is a game of risk and reward. You are never entitled to anything without putting something of equal or greater value at risk. If you go in thinking you are entitled to make money, you are going to be sadly disappointed. If you want to progress, to earn rewards, you will need to put something at risk. Sometimes you walk away with the reward, other times you get a face full of missiles, and artillery shells. Risk and reward is the beating heart of this game, don’t hope for sympathy if you were expecting one without the other (well you might get risk and no reward, but that’s you’r own silly fault). You may see a depressing theme of death and destruction in these “attitude warnings” and wonder if you really want to get involved into this dreadful game. Remember though, when you set a goal, the more you had to fight against to achieve it, the sweeter your victory will be. If your smart and tenacious, you will be successful, and trust me; eve gives a success feeling like no other game. Has the game downloaded yet? No? Good. One thing you need to learn about eve, is that preparation is everything. Always remember the mantra of the 6 P’s: Prior Preparation, Prevents Piss Poor Performance. People who rush into combat, without fact checking or research tend to end up as smoking wrecks. Go out there and read some more. For information on what people get up to in eve, I heartily recommend the blogs listed in the menu on the right hand side of this page (click the little tab in the top right to pull it out). I also recommend perusing the Isk Guide as well as many of the Guides listed on Jesters Trek most of them will be above your heads at the moment, but peruse them anyway at your leisure. The tutorial missions (which is the next step in this guide), will teach you far better than I can how to manage and use the skill queue. However I need to explain here some basics so that you can understand enough to install and use another program, called eveMon to help you manage your Skill plans. The skill queue is a period spanning 24 hours from now during which you can pick what your character learns over time. When you add a skill to the queue, the length of time it is going to take to learn is blocked out, and you can queue up another skill to start learning once you finish that. You can add as many skills as you like the queue until the entire length is longer than 24 hours, after that you have to wait for the queue to process along enough that the last skill finishes before 24 hours is up to add another skill. Because this skill queue is limited to a 24 hour period, and your longer term plans will undoubtedly exceed 24 hours, it can help to have an out of game tool which will help you plan skill queue as long as you want: this is where eveMon comes in. EveMon can be downloaded here and needs to be installed on your computer. Once this is done, you need to add your characters API (permission to get information on your characters training and skills). Do this by clicking “File > Add API Key…” and then clicking the http://community.eveonline.com/support/api-key/ link and logging in. Now click Create API key, name it, check “no expiry” and click the small “(All)” button above each section (you may want to review this later on, but for now there no information of value for anyone to steal from your API). With this done simply copy the Key Id and Verification Code into the corresponding boxes in evemon and click next then finish. You can create plans by selecting you character and then going to “Plans > New Plan…”. Some further guides will ask you to import a guide, you can do this by selecting your character and clicking “Plans > Import Plan from File…”. You should now scroll to the bottom of this article and select the professions guide you’re interested in. Have a look for the skill training download for your chosen Race at the start of the Guide and import this into your eveMon. During the tutorial, if you ever run out of things to train, simply pick the first thing from that list which you can train, and add that skill to you skill queue. You are likely a WoW or other “Theampark” MMO veteran and as such, you have been trained to ignore text boxes and to try and jump through whatever hoops the game lays out for you to get to the bacon as quickly as possible. Try not to do that here; the eve combat system (along with pretty much everything else) is a very complex beast, far more so than any other MMO (name an MMO where the speed your target is traveling at effects your chance to hit). Buy reading what Aura (the tutorial) has to say, clicking the links, and exploring further, you will learn vastly more than just jumping through the hoops. Take your time, and try to read and understand exactly what the tutorial is trying to teach you, don’t be afraid to research things you don’t understand (ask /r/evenewbies if you can’t find something). Most eve players will run these tutorials fast, and then spend the next half year learning, through trial and error doing missions, when the tutorials would have taught them in a few seconds of reading. You don’t have the luxury of time. You have chosen to dive into your profession faster than most players finish training for level 1 missions. So make sure you absorb as much information in these tutorials as you can. They might just save your life (and your wallet). You should go on now to attempt the tutorial missions (and the advanced ones) in all the areas you are interested in before going onto the guides which have tickled your fancy. Good luck, and we will see you on the other side. My intent is to produce a series of follow on guides aimed at getting you from first login to making money/wrecks in a profession. Below are listed all of the completed guides (and the planned ones). They all start with what you can expect from their end goal, so look through them and pick one which fits best what you want to do in eve and follow it.